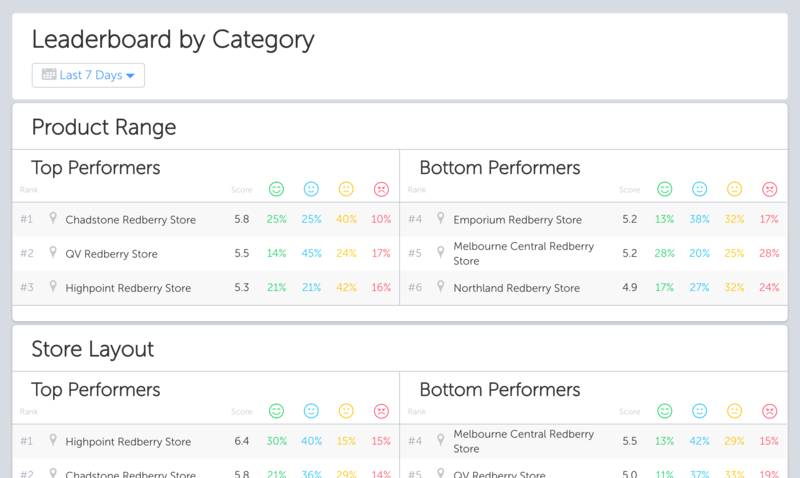 The My Insights page is what you'll see when you first log in to the RateIt Portal and is where you'll find an overview of how your CX and NPS scores are tracking overall as well as how you're tracking in certain areas. 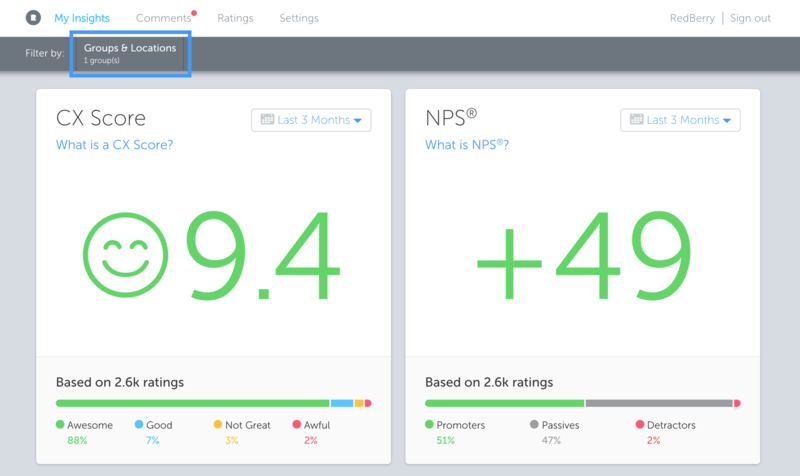 The main scores you'll see when you first log in are your overall CX and NPS Scores. You can change your preferred date range but by default we'll show you your scores based on the past 30 days of ratings. Tip: Hover your cursor over the percentages to see how many ratings have contributed to that result. 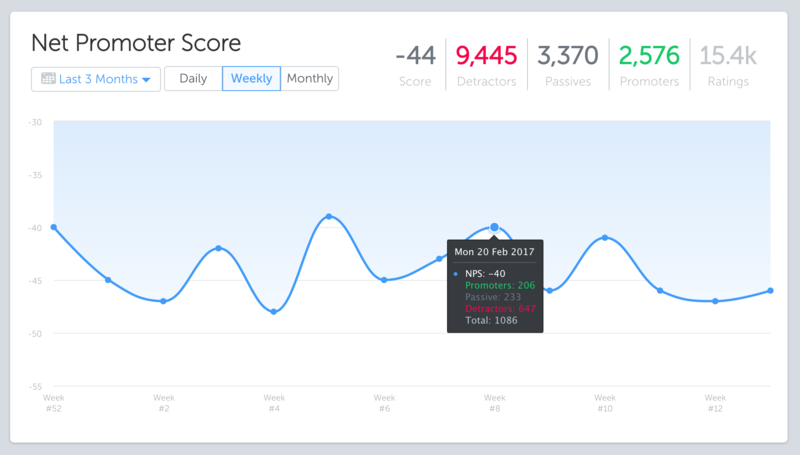 The NPS Trends graph gives you a high-level insight into how your NPS is tracking on a daily, weekly and monthly basis. It's a great way to pick up on trends (e.g. 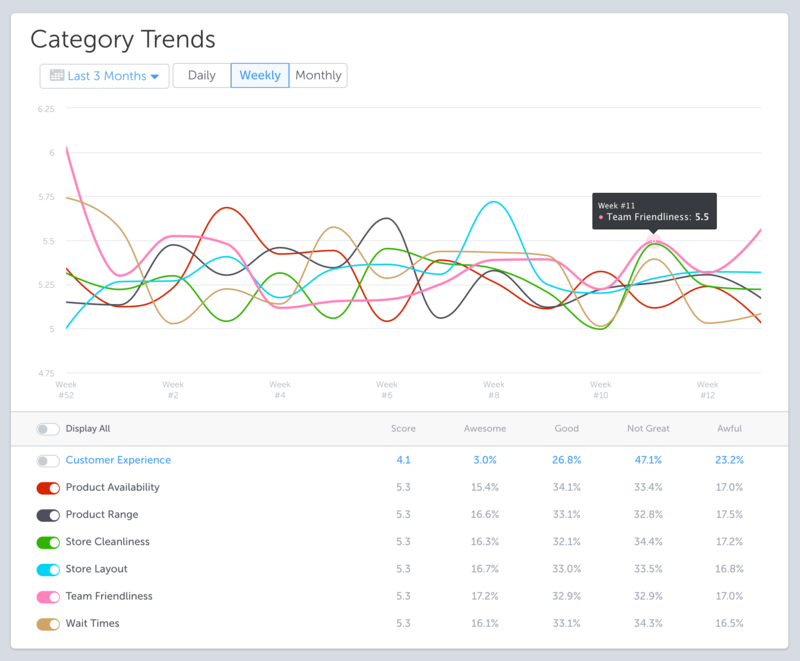 you'll be able to see if your NPS trends down on a particular day). The NPS Leaderboard gives you a breakdown of how all of the locations you have access to rank against each other and is a great way to spot the top performers as well as pin point any locations who could use some attention. Note: If you only have access to one location, the leaderboard will not be displayed. For those of you who use a multi-choice based questionnaire, you'll have access to individual breakdowns of each of the key drivers behind the scores and responses your customers give you. Tip: You can click the Show Trends button to display the Trend Graph for each driver!